Garden furniture is of greater importance when you want to have good looking and most comfortable sitting in your home garden. There comes variety of sitting items in garden furniture like arm chairs, swinging chairs, sofas, couches, benches and stools as well. Stool is used for short time sitting in the garden for doing any of garden activity like cutting of trees, watering plants and others. 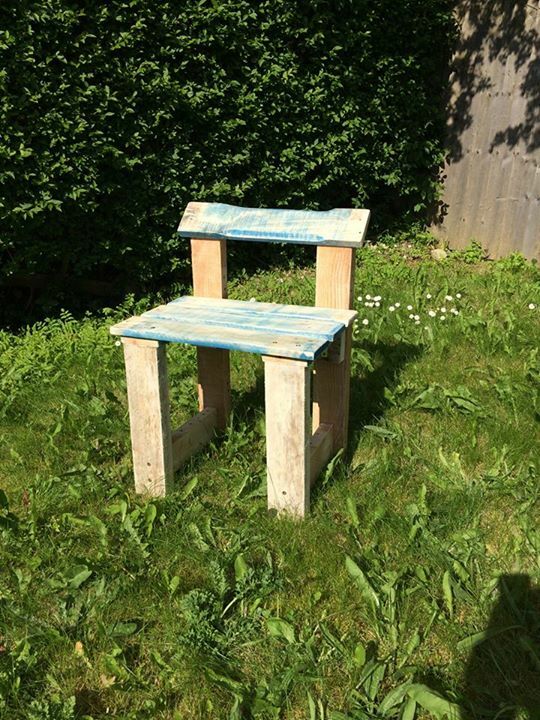 You may need to have small or large garden stool to sit and do some garden activities and tasks. 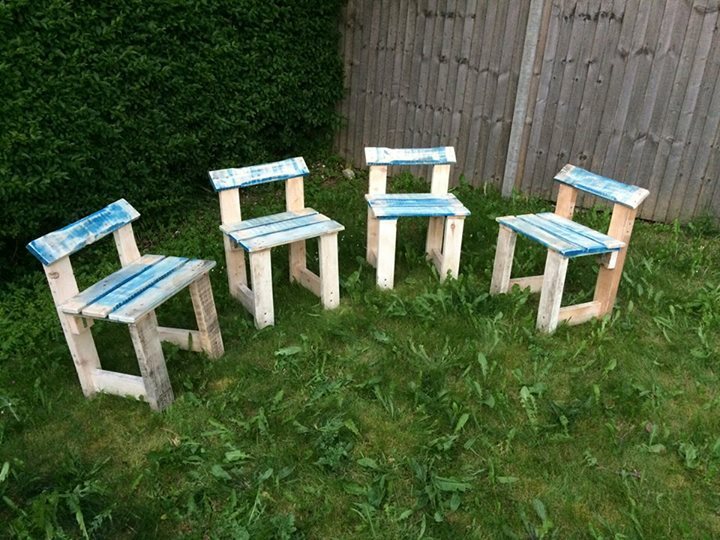 Pallets made garden stools look very attractive and also provide you with comfortable sitting. Pallets wood is one of ideal woods to be used for making outdoor furniture items like garden stools, garden chairs, tables, benches and others. Pallets made garden stool can be constructed in different designs of your own choice as you have to be very creative in finding most stylish design for garden stool. In given pictures, a beautiful design of garden stool is given for your convenience that you can easily follow to make for your garden stool. Pallets wood is very convenient to work with for constructing such a fine and nice pieces of furniture and stools.